Vacation is always a perfect time to catch up on a little reading. One of the books I have been skimming through is called "8 Keys to Recovery from an Eating Disorder" written by Carolyn Costin and Gwen Schubert Grabb. It has been a pretty fascinating read, even though I disagree with a few of the ideas. That disagreement just goes to show that everyone's recovery is different and there is no single way to treat eating disorders. One of my favorite sections talks about the different phases of eating disorder recovery. For the few short days that I have been on vacation, I have rarely been obsessing about food or weight the way I used to, which is definitely a first. This section of the book, describes the different phases and then has a writing assignment that follows, which allows you to reflect on your current place in recovery. If you are comfortable, give it a try! 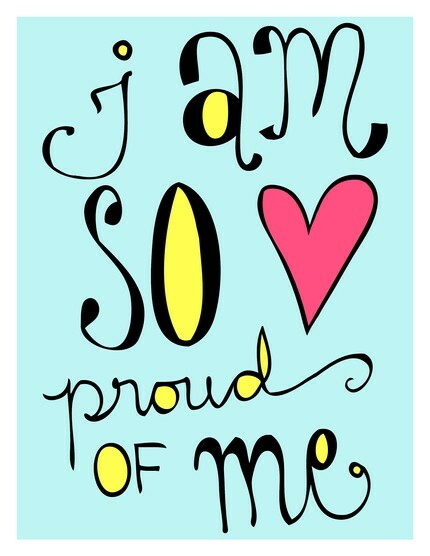 It was a great way for me to recognize the progress I have made and helped put things into perspective. 1. I Don’t Think I Have a Problem. It’s my body so leave me alone. 2. I Might Have a Problem But It’s Not That Bad. I only throw up once in a while. My physical didn’t show anything wrong so I am OK.
3. I Have a Problem But I Don’t Care. I know throwing up isn’t good for me, but it’s working for me so I don’t care. I could change if I wanted to, but I don’t. 4. 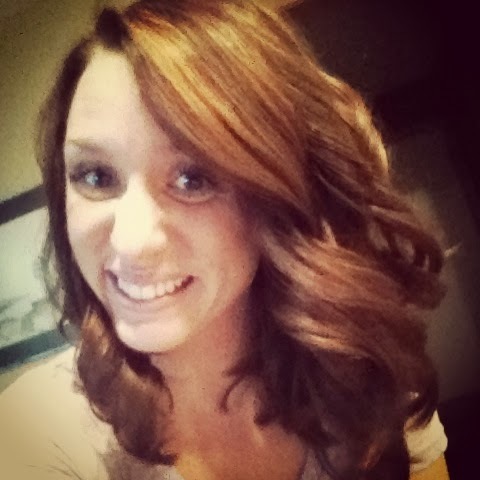 I Want To Change But I Don’t Know How and I’m Scared. I want to eat normally, but I am afraid I will get fat (gain weight). I want to stop bingeing, but I can’t figure out where to start. 5. I Tried To Change But I Couldn’t. I told myself that I would not (fill in the blank) but I found myself doing it again. I don’t feel like I can really ever (change) get well, so why keep trying? 6. I Can Stop Some of the Behaviors But Not All of Them. I could stop purging, but I will not be able to eat more. My eating has gotten better, but my exercise is out of control. 7. I Can Stop the Behaviors, But Not My Thoughts. I can’t stop thinking about food and bingeing all the time. I keep counting calories over and over in my head and still want to lose weight. 8. I Am Often Free From Behaviors and Thoughts, But Not All the Time. I feel fine all day, but under stress I revert back to my unhealthy behaviors. I was fine, but wearing a bathing suit triggered my eating disorder thoughts, and with it some related behaviors. 9. I Am Free From Behaviors and Thoughts. I feel mostly OK in my body and am able to eat things I want and not feel guilty or anxious afterwards. Once I had stopped the behaviors for a period of time, at some point I realized that I was no longer having the thoughts or urges. 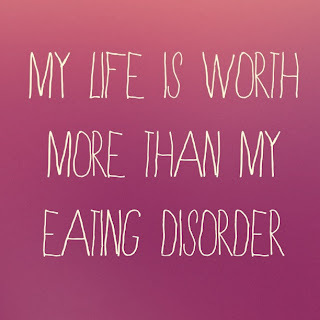 For a long time now, I no longer have thoughts, feelings, or behaviors related to my eating disorder. I accept my body’s natural size. 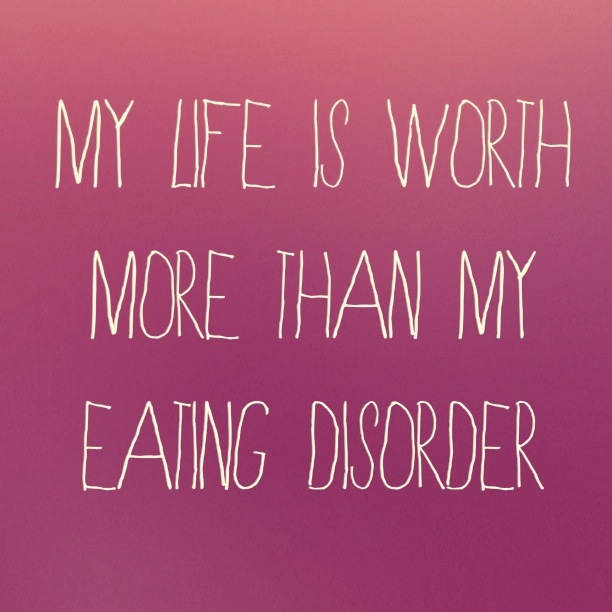 My eating disorder is a thing of the past. Right now I would say I am somewhere between an eight and a nine, leaning towards the nine. For some reason it is difficult for me to think of myself at a number nine because it seems so high on the list. Obviously I still struggle with giving myself credit, but there's always room for improvement. Getting used to positive thoughts and emotions is much more difficult that I ever imagined it would be, but I am getting there. 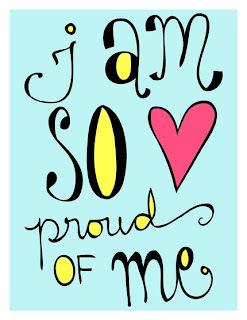 Today I am free from eating disordered behaviors and (90% of my obsessive) thoughts! I think I'm personally between stage 6 and 7, which I think is pretty progressive (if I can say so without sounding boastful :P) considering that a year ago I was between stages 1-4 up and down continually. I love this. We actually went over it in treatment and did the writing assignment. What I found most interesting was that I have been at many different numbers (1-7) at different times over the past four years and it hasn't been a linear journey as some would expect. Currently I am somewhere around a 4 or a 5. This is definitely a difficult journey but I am still trying to move forward- or at the very least not move backward. I would say you're higher up on that list than you give yourself credit for. I am so incredibly proud of you Missy! This is a huge progression. This is a good progress of you, Kelsi. The journey in recovering from eating disorder is tough. But upon reading your posts, one cannot help but be inspired by you. And it’s good to know that aside from your therapy, this book serves as an inspiration for you. 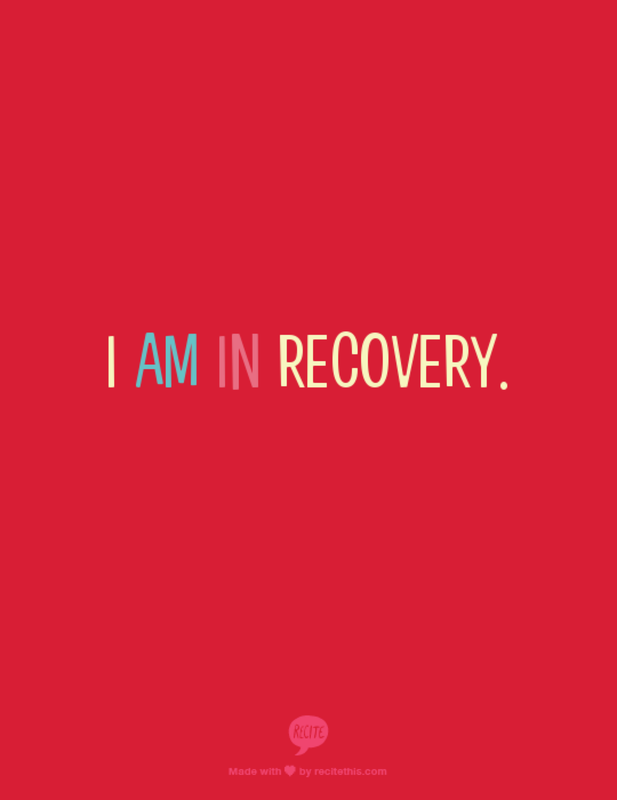 Now you can tell yourself that you are on the real stage of your recovery. And I hope it will continue until you achieve your ultimate goal for this journey. Stay strong!